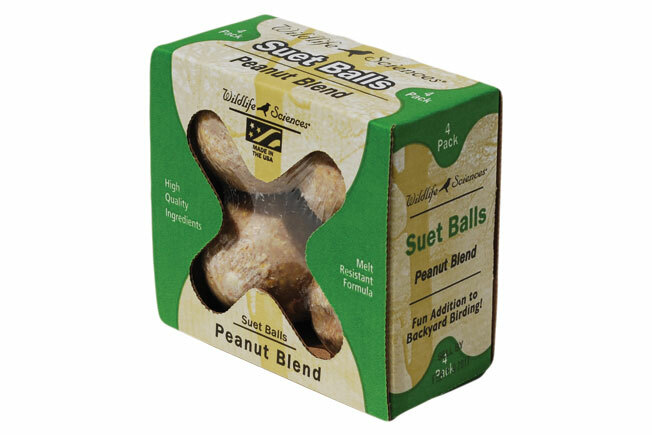 Home / Posts Tagged "Suet Balls"
March 31, 2014- Suet Ball 4 Pack Boxes. Wildlife Sciences introduces newly designed packaging for its unique Suet Balls. The shelf-ready four packs provide outstanding merchandising graphics and greater product protection. Available in four flavors, suet balls offer a fun addition to backyard birding.